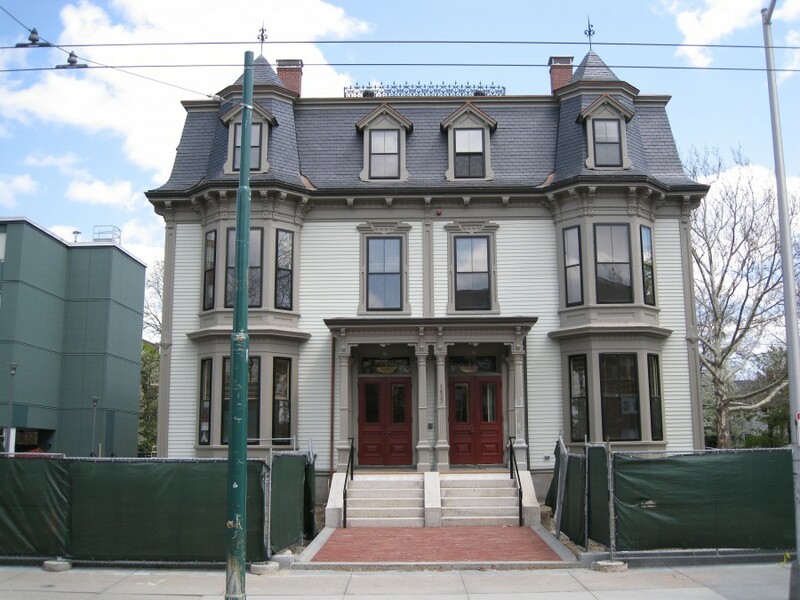 The HLS Apartments, also known as “The Woodframes,” are three Harvard Law School-owned Victorian houses that were converted in 2007 into upscale student apartments. The HLS Apartments are official Cambridge residences, and are thus comparable in amenities to off campus apartment living. These apartments are offered to returning students before being offered to incoming students. Please note that the HLS Apartments that are listed on this page are NOT associated with the “HLS Apartment Block”, which are hosted by Harvard University Housing. 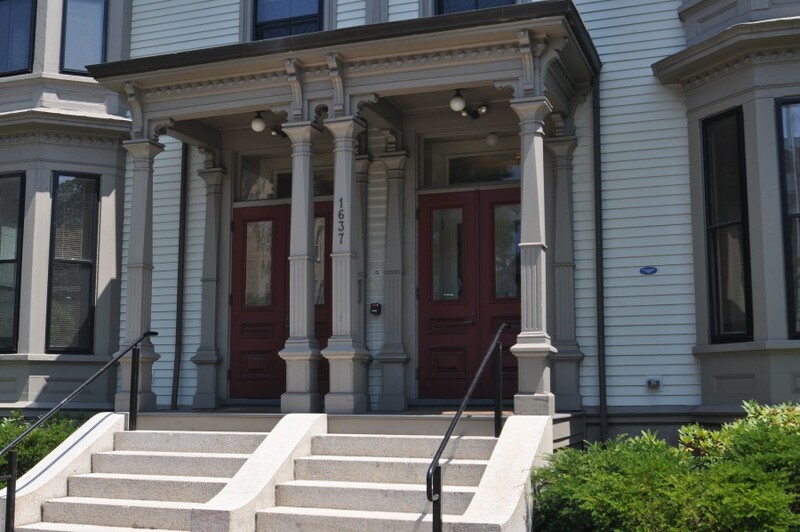 The HLS Apartments (at 1637 Mass Ave, 3 Mellen, and 5 Mellen) are hosted by HLS Housing and include 9-month leases that coincide with the academic year. In the single-family homes at 3 and 5 Mellen, students are assigned to an individual bedroom within the house and all kitchen, living and bathroom* areas are shared with other residents. (*3 Mellen bedrooms have private bathrooms for each occupant). In the apartments at 1637 Mass Ave, students are assigned to individual bedrooms and each apartment has a private kitchen and bathroom within the 1 or 2-person unit. To get the best sense of the HLS Apartments, check out the HLS Apartment Photo Gallery and the HLS Apartment Floor Plans below. View Room Types and Prices for listings of HLS Apartment room types, prices, square footage, and number of units. Please note that, because the HLS Apartments are official Cambridge residences, they have a different cancellation policy than the one pertaining to the HLS dorms. In addition, the Room Swap Tool is not available to a student who has already signed a lease for an apartment at these residences. Please note that furniture items will vary depending on apartment type. 1637 Mass Ave is the largest of the three HLS apartments, containing 11 fully-furnished apartments of varying layouts. It has served many purposes to the University, but most recently housed the Ukrainian Research Institute. Floor Plans for 1637 Massachusetts Ave.
5 Mellen St is a Victorian period house that boasts seven fully-furnished spacious bedrooms with rich woodwork throughout and a stained glass window in the stairwell. There is a large kitchen and living room on the first floor, and a shared bathroom on each floor. It has served as the Law School’s Alumni Center and housed the Berkman Center for Internet and Society. 3 Mellen Street was once the Baker Hall’s carriage house and now is a full-furnished three-bedroom apartment house with spacious rooms, private bathrooms in each bedroom, and a large communal living room and kitchen.